Juno Lighting Rectangular shaped cutoff step light has voltage rating of 120-Volts and current rating of 0.03-Amps at 60-Hz. It accommodates 1-Watt or 2.6-Watt 3000K LED with an average life of 50000 hours. Led/mercury-free step light has a dimension of 4-1/2-Inch x 2-3/4-Inch. Housing has a dimension of 1-11/16-Inch x 1-7/8-Inch. This step light with 120-degree beam angle, has starting temperature rating of -20 deg C. It is great for residential, theatrical or commercial applications. 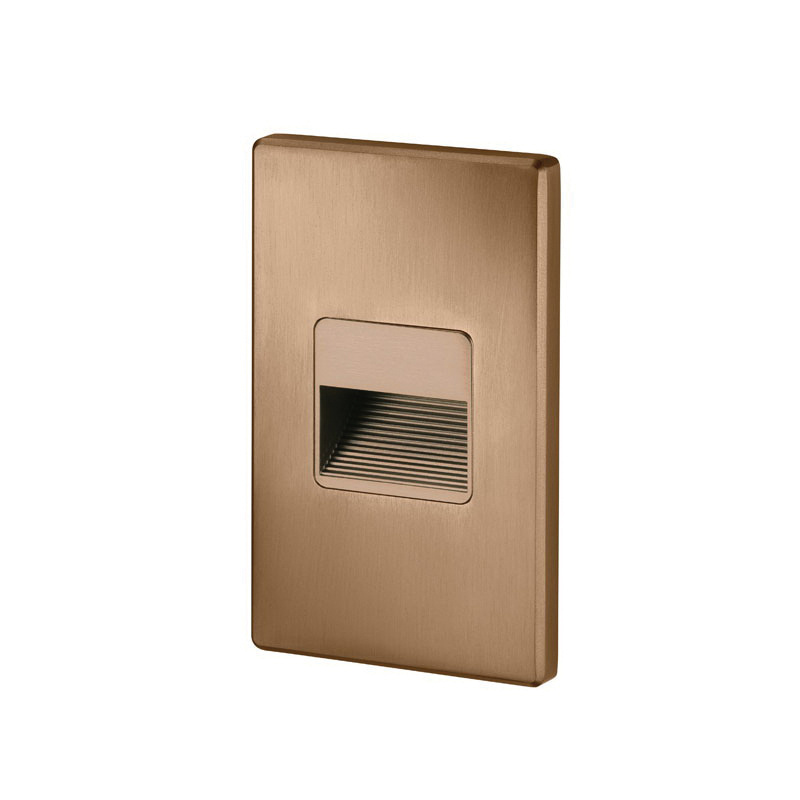 This light features die-cast aluminum construction with bronze plated finish. It incorporates electronic low-voltage dimmers with 100% - 20% dimming. Step light directly mounts to aluminum heat sink for superior thermal management. Step light is UL/cUL Listed and ADA/RoHS compliant.